A Magical Mixture of Natural Beauty and History on Display For All To Enjoy! The Michigan State Parks in the Straits of Mackinac are the perfect vacation spot for families who enjoy the outdoors and exploring our nation's history. 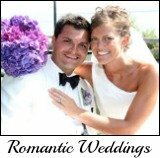 Straits of Mackinac area your family can enjoy a fun-filled vacation whether it is for a few days or a few weeks. There’s so much to do you will find that you must come back year after year to see it all! A great plus is that all six are located only a few miles away from each other. Your family will have a new place to visit each day during your vacation. 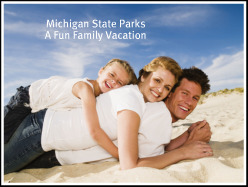 If you love the great outdoors with scenic views of large bodies of water the Michigan State Parks in the Straits area should be your top pick for your family's next vacation. Serene natural forests, Lake Huron, Lake Michigan, the Straits of Mackinac and countless inland lakes are all readily accessible. 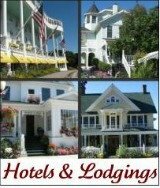 In addition to the extensive camping facilities there are many choices of lodging from locally owned motels, quaint bed and breakfasts and national chain hotels. 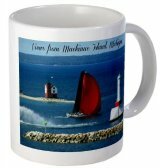 Of particular note is the nationally renowned Mackinac Island State Park. The Park was originally established in 1875 as the Mackinac National Park, the second United States National Park after Yellowstone. After transfer of the park lands to the State of Michigan, the Mackinac Island State Park became Michigan's first State Park in 1895. 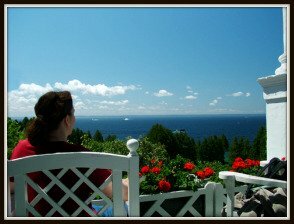 There many fascinating points of interest on Mackinac Island! 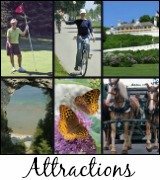 Mackinac Island State Park with miles of unmatched hiking trails and natural attractions. Michigan's Governor Summer Residence gives tours every Wednesday morning. Fort Holmes - the highest point on the Island. Historic Mill Creek Discovery Park with a working colonial era lumber mill and several nature trails and attractions specifically for families. 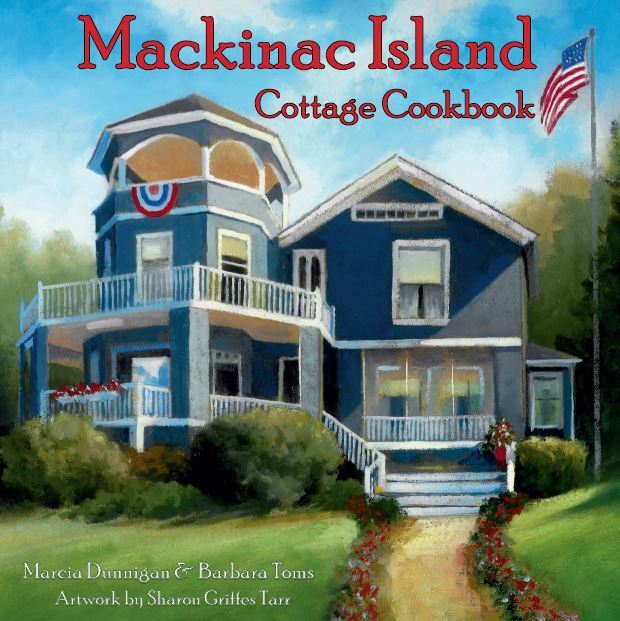 Insider Tip: Mackinac Island, Michigan and Colonial Michlimackinac in Mackinaw City are National Historic Landmarks. 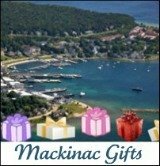 To see the location of other Michigan State Parks in the Mackinac Area click here.